Did you read my last post – GENESIS OF A SHUNPIKER from March 12 (an important day)? If you missed it, click on the link above. But a quest was on. 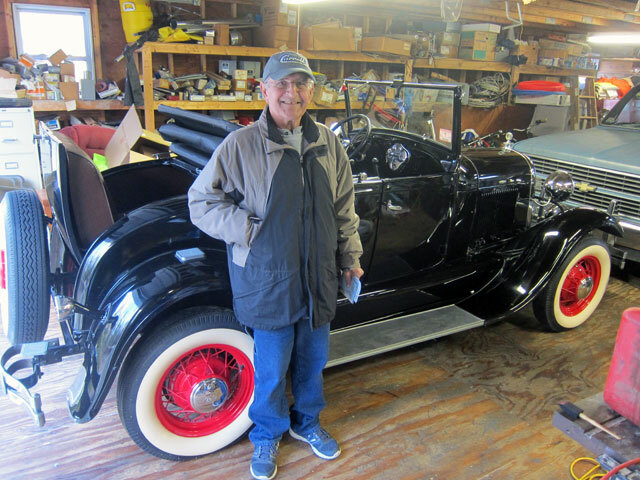 On March 9, before I completed that post, I posted my want ad for a 1929 Model A Ford Roadster on Craig’s List. Then I just checked to see if there were any new listings on Craig’s List – and there was one. I started emailing with Joe, Jr. Talked with his Dad, Joe, Sr., and both were helping Jon – Joe Senior’s brother, and Joe Junior’s Uncle. It was one of those good email and phone exchanges leading to my journey today to Charlton, Massachusetts. We met just before 5PM, and I left at 6:10PM. Adoption COMPLETED. The plan is to drive her home in a few weeks (90 miles from home) and at worst have to call AAA to get me the rest of the way. Below is Jon, the previous owner. and, here are a few of the pictures that were on Craig’s List. Yes, I have learned you can drive three cars at once – but now it means I just have to “shunpike” more miles this summer. Let the driving begin – and stories to follow. 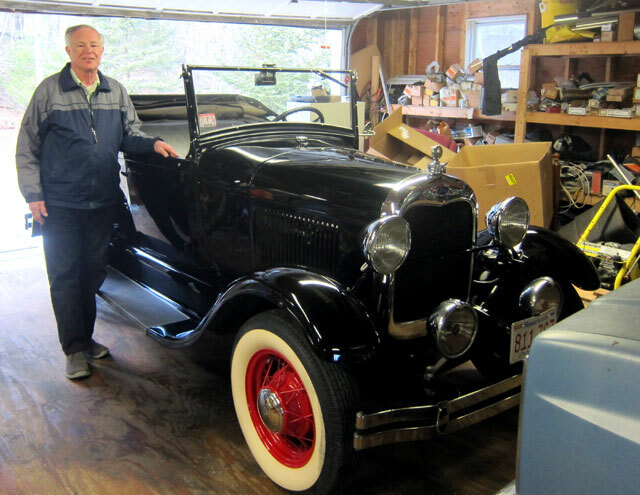 This entry was posted in Miscellaneous Musings and tagged 1929 Model A Ford Roadster. Bookmark the permalink. Congrats on your latest adoption, Ray! 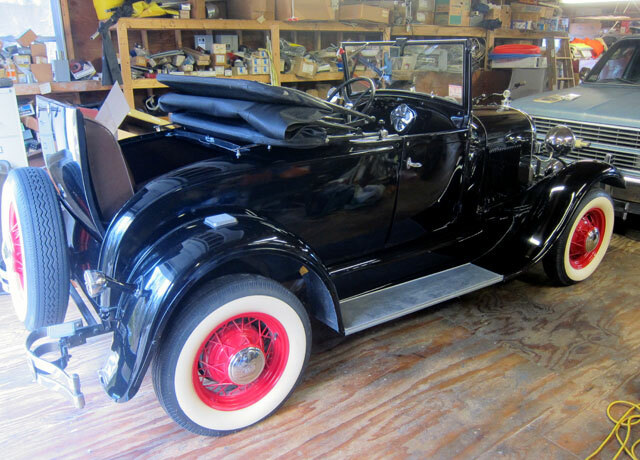 She looks in really good shape-I’d love a ride in the rumble seat some day. Happy trails when she arrives home with her new siblings! Hope there is no jealousy among them………. 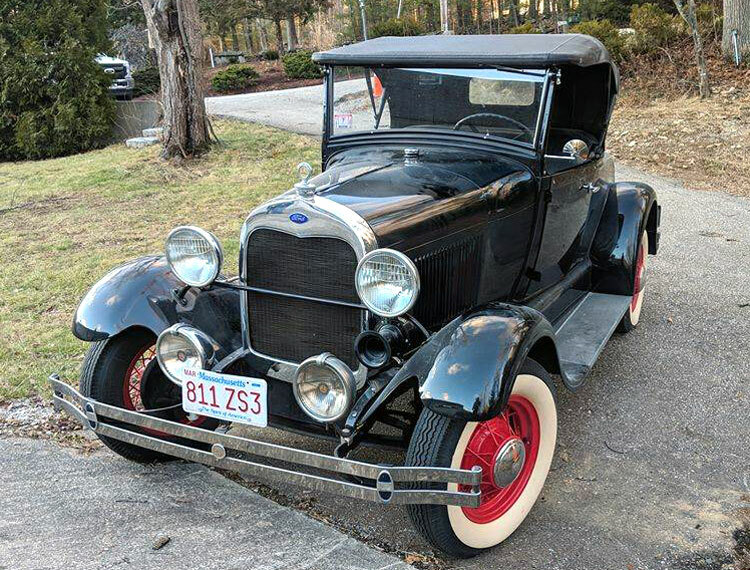 It has a rumble seat, many a memory driving with my uncle Joe in the rumble with my cousins!! A real beauty! Enjoy her. Love the red hubcaps and the rumble seat! Ray, Congratulations. Looks great. You’re going to have fun eith that one.